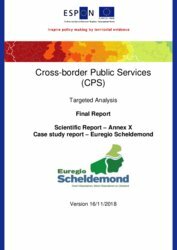 The targeted Cross-border Public Services (CPS) analysis aimed to improve delivery practices of CPS in European border-regions and to increase awareness about the added value of CPS provision. 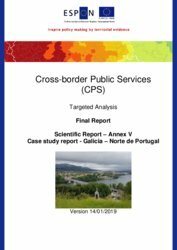 The project produced a first comprehensive overview of CPS across Europe. 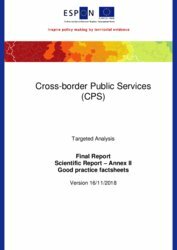 This overview allowed to explore territorial patterns of CPS provision and to highlight the main features of good practice examples. In addition, in ten case study areas CPS provision and their future perspectives have been analysed in-depth. This supported a better understanding of the legal basis, governance models, infrastructure use and needs addressed and tasks of CPS. 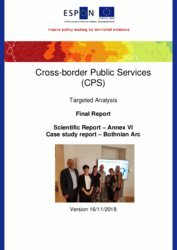 European wide and case study analysis highlight future options and possibilities to further enhance service provision in border areas by means of CPS. The main outcomes of this project address various stakeholders. 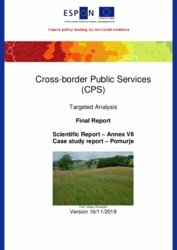 At European and national levels, territorial evidence and findings on key challenges in implementing CPS encourage measures to support CPS development through top-down initiatives. 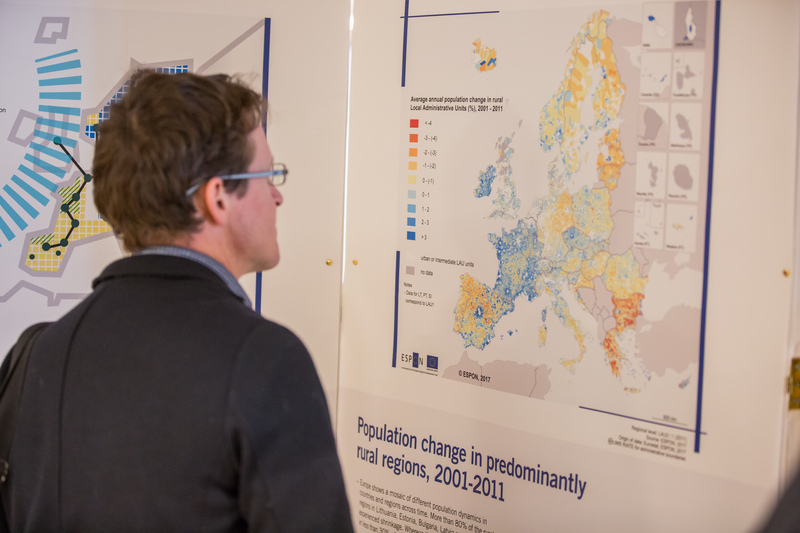 Similarly, Interreg programme authorities are encouraged to promote CPS development in their programmes. 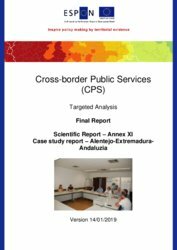 Stakeholders in border regions may use project outcomes as source of inspiration to explore needs and added value of CPS development. 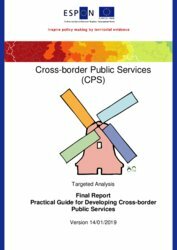 In particular, the Practical Guide for CPS development helps cross-border institutions, border regions and public service providers to explore the CPS development possibilities. 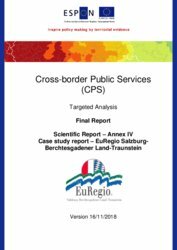 Where do cross-border public services exist along EU borders? 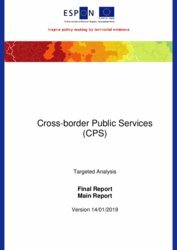 Which services are available in the cross-border study areas covered by CPS and which services are currently missing, regarding stakeholders objectives and needs (i.e. in which specific policy fields)? 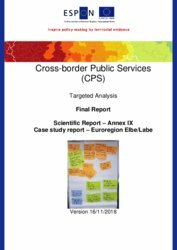 What are potential blocking factors for developing cross-border services in the study areas covered by CPS (i.e. existing border obstacles)? 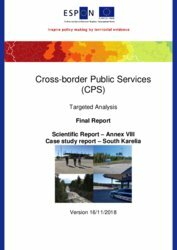 What are the development potentials and future needs in the study areas covered by CPS for setting up cross-border public services, and how can these potentials best be exploited? 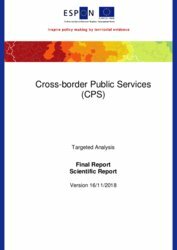 What are the main policy recommendations for improving cross-border public service provision, both in the study areas covered by CPS but also generally for cross-border regions throughout the EU? 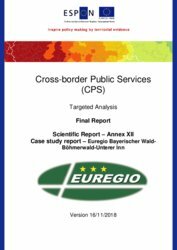 579 CPS have been identified along European borders. They are located at various borders and address several policy fields. Most CPS have been identified along the borders of the Benelux countries, France, Germany, and the Nordic countries. 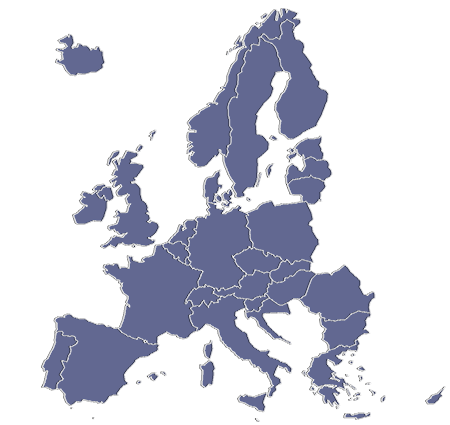 Territorial characteristics of these border regions differ considerably. Thus, CPS can address local development needs in many ways that do not make CPS provision more likely for certain types of territories. For example, CPS contribute to reducing negative border effects, support cross-border flows of people, or contribute to raising awareness of cross-border possibilities. Currently, most identified CPS deal with environment protection, civil protection, and disaster management and transport. In the future CPS development is expected especially in the fields of spatial planning, economic development, tourism, and culture. Many regions also explore possibilities to establish CPS dealing with health care and labour market challenges. Typical challenges for CPS development do not only hint at unfavourable legal and administrative framework conditions, cultural divides and one-sided scarce resources. Results also indicate a low awareness of the added value and the variety of possible solutions to establishing a CPS. Existing examples illustrate practical solutions on how to overcome most of these challenges. Sharing knowledge about these examples and enhance capacity building facilitates CPS development for border regions with such needs. The ESPON CPS Practical Guide and the collection of good practice examples provide the first steps in this direction. The Association of European Border Regions (AEBR) has been chosen to operate as helpdesk to assists the service provider in all its tasks, supports stakeholders and carries out specific activities on behalf of all partners.